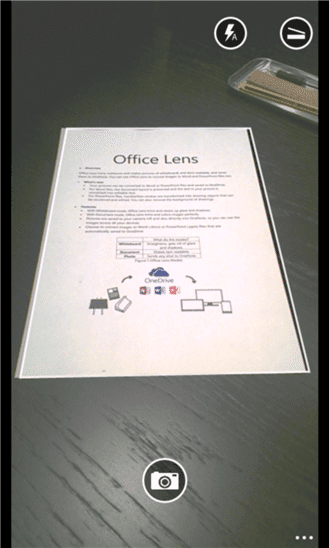 Office lens is suitable especially for photographing documents, charts and whiteboards. 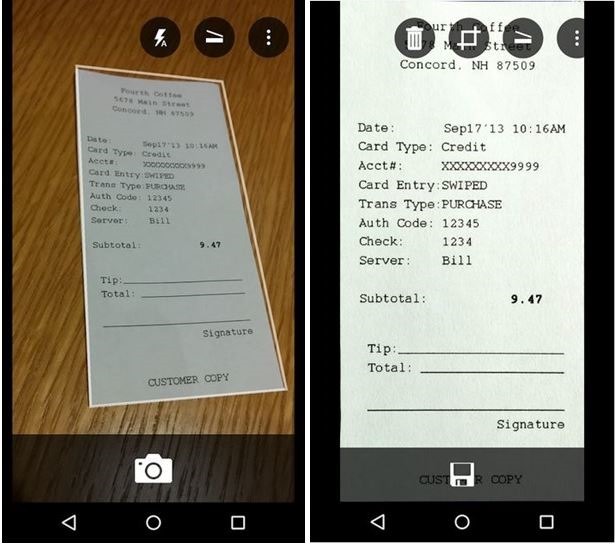 The free app improves the readability of the photo content by automatically cropping the images, reduces the shadow, and adjusts the contrast. 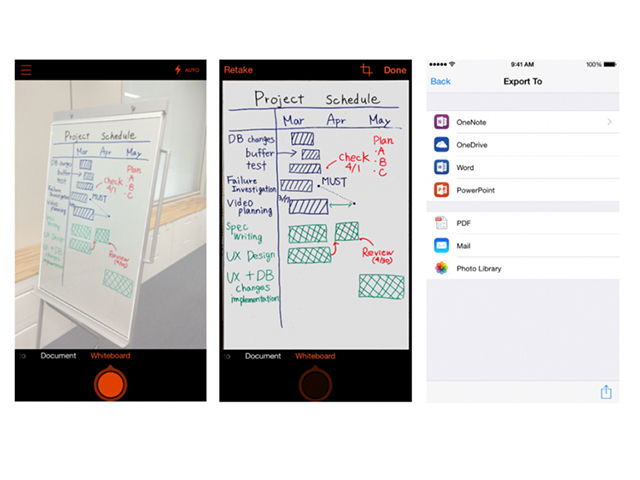 Then stores the images in the Microsoft program onenote Office lens and synchronizes them so on all Windows devices and more recently also on the iphone (ios 8 provided) and Android devices, about smartphones and tablets. 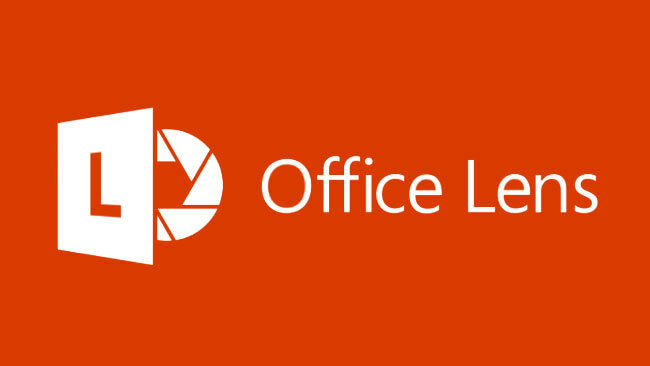 To use Office lens, you must log on to your Microsoft account. 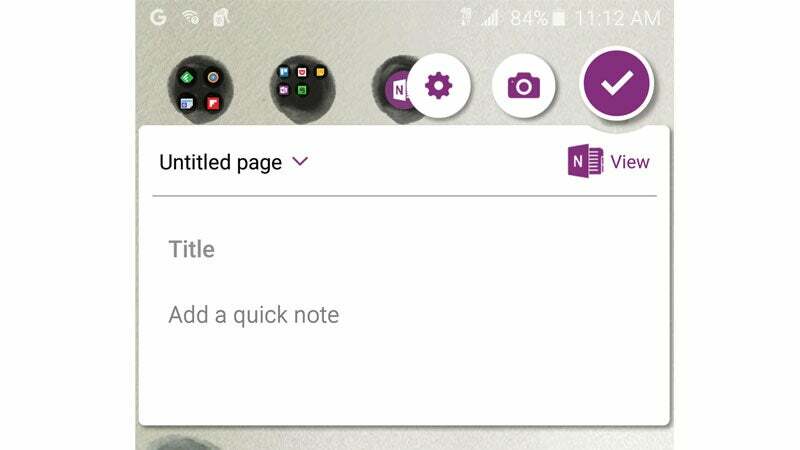 Optimized photos are stored once in onenote there is another handy feature: A text recognition program enables the user to search for text within all images taken. 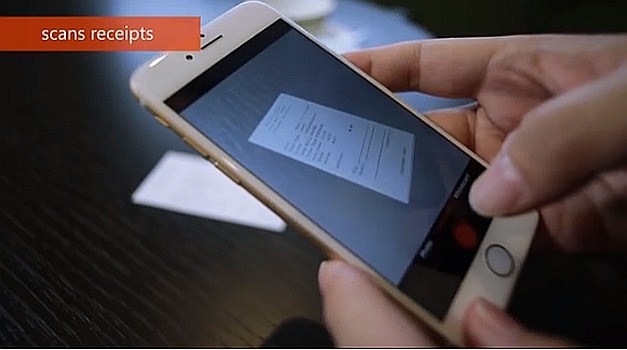 The user starts a request so the word receipt, onenote displays all documents and photos, in which the expression occurs. 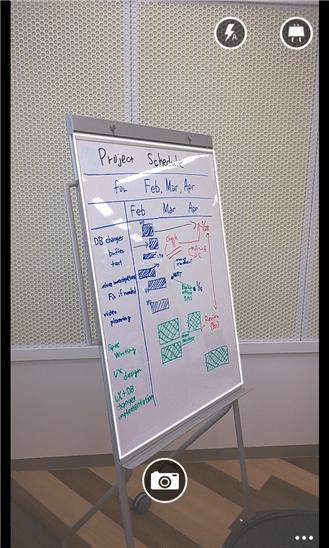 Three modes enable Office lens to apply the optimal image processing for each scenario: In Whiteboard mode the program adjusts the image area and reduces reflections of light and shadow. 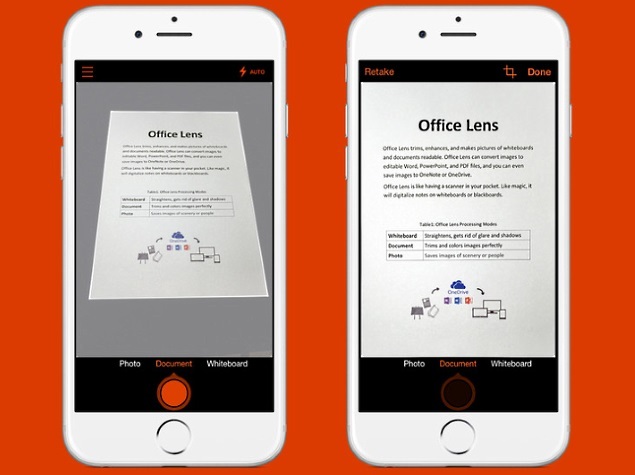 In document mode, Office lens colors and detail optimized and in photo mode, the app syncs your images using onenote with your Microsoft account. 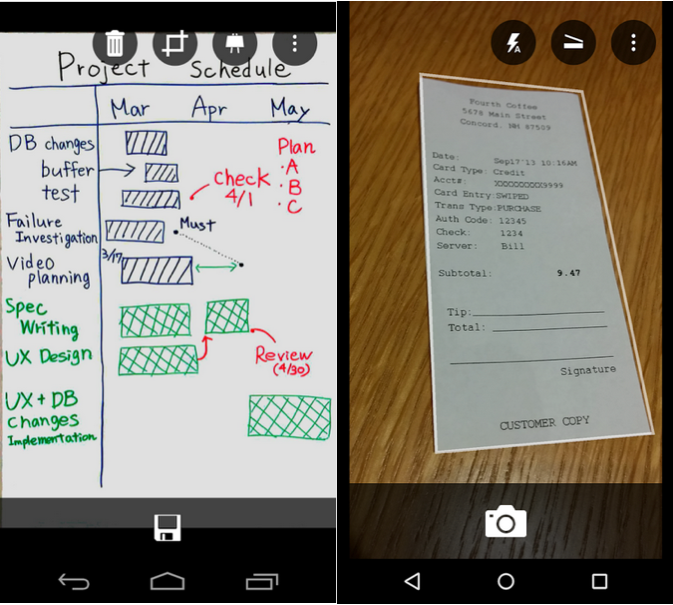 Who wants to download the Taschenscanner with his Android device and take advantage of, currently member of the Google + must-Community Office lens for Android preview be. 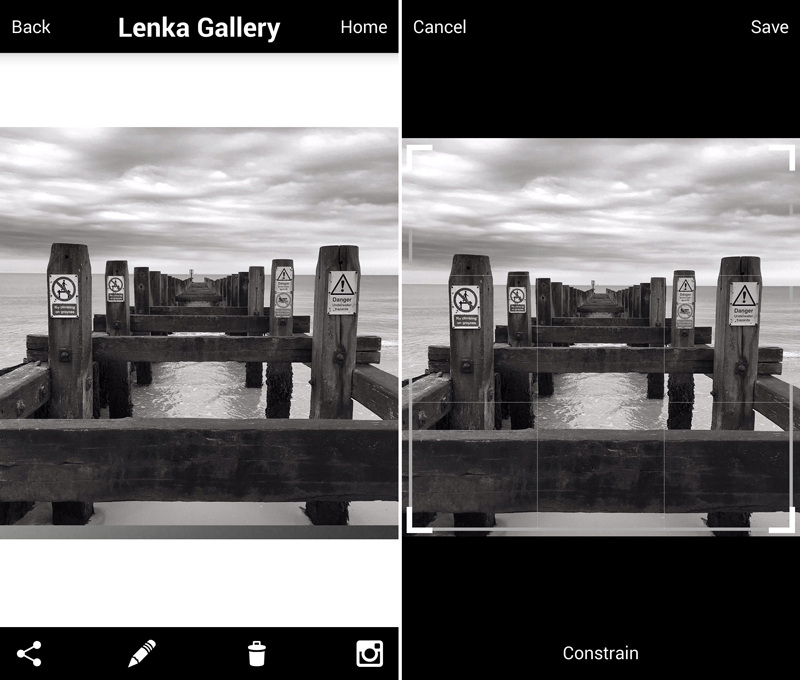 They joined the group, the links appear become a tester and Office lens preview. First, you must click on become a tester and register as a tester. 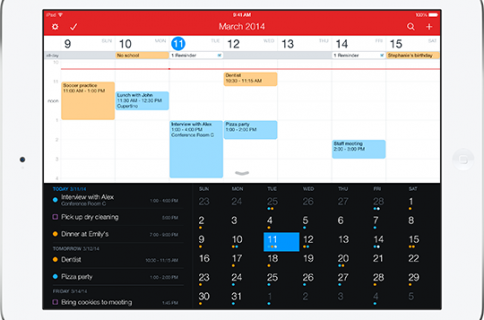 After you select the app link and already can the application on the Android Smartphone or Tablet use.